Though we ended up having a really great time yesterday (despite the rain), we were excited to wake up today to a little bit of sunshine. Having loved what we’d seen of Asheville so far, we decided to return today and try to explore a bit more on foot. We needed to find out why everyone raved about its dog friendliness! First things first, we needed to pack up. Even with so much stuff, when you do so over and over like we have been, you get it down to a science! We can now pack up ourselves, 2 dogs and a baby in about a half an hour. Very important when you have to do so before breakfast! Our stays in Asheville were sponsored by Red Roof Inn, and if you have never booked with them we’d highly recommend it. Particularly if you are going to be traveling with dogs! The rooms are comfortable, the staff friendly, and having an exterior door to your room is extremely convenient. 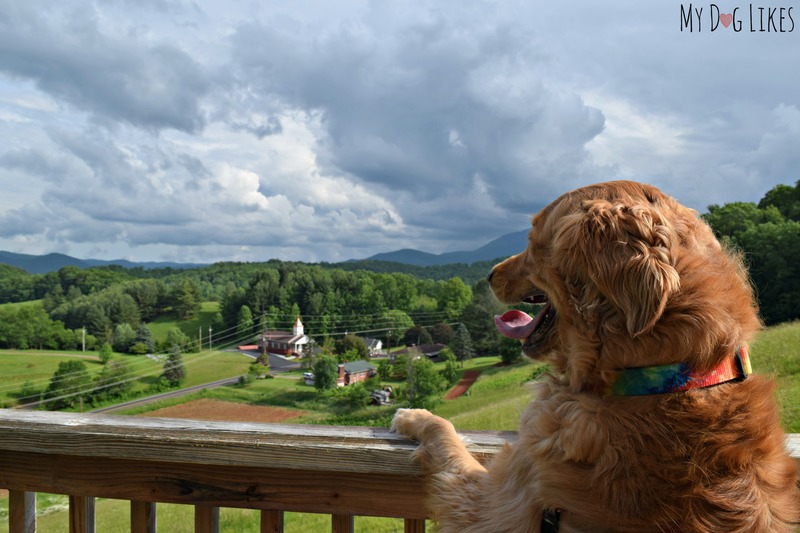 Plus, every location we have visited (Asheville included) has plenty of grass for your pets to do their business. Best of all – Dogs stay free! Trust us – this is not always the case at other “pet-friendly” hotel chains! After we had checked out, it was time to get some food. 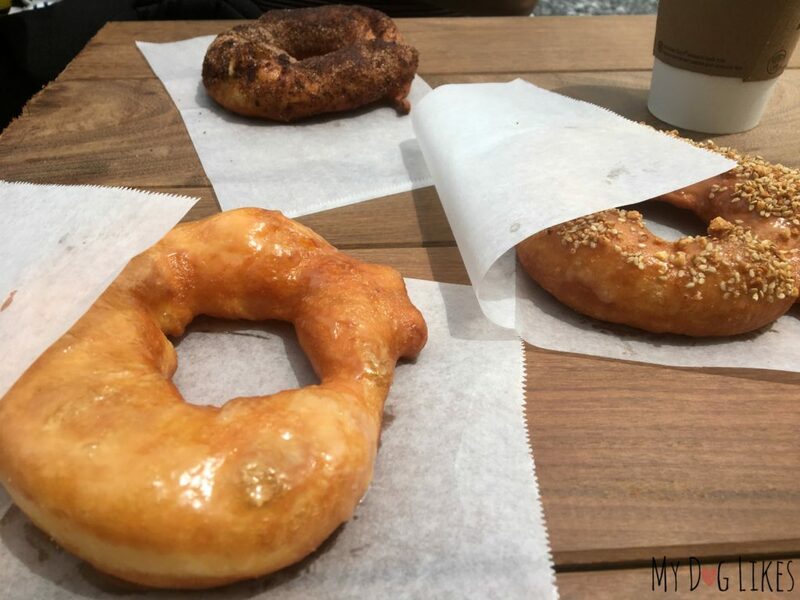 Thankfully, breakfast was an easy choice as a donut shop had been highly recommended. 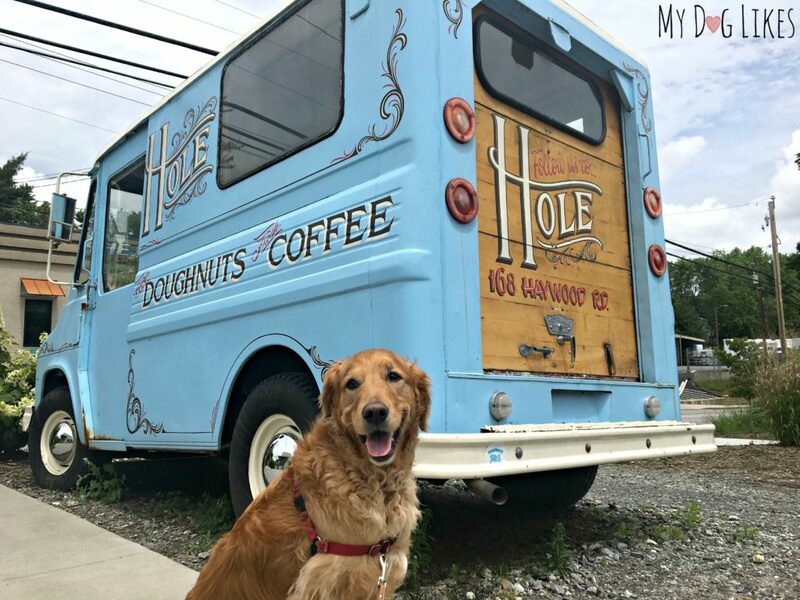 Hole Doughnuts in West Asheville is known for their made to order donuts. That’s right, you get to watch them be formed and enjoy them only seconds out of the frier! Believe it or not, Bon Appétit actually ranked this as their best desert of 2016! When we arrived, we were happy to see that there was plenty of space for Harley and Charlie to sit with us outside. (There are 2 picnic tables on the parking lot side and a few chairs facing the street.) We made our claim to one of the picnic tables and our donuts were ready in just a couple of minutes. These light, airy pastries were just as good as they look. Paired with a cup of coffee and this day was off to a good start! After breakfast, we decided to head to the same area as yesterday – Battle Square in front of the Grove Arcade. Here, there is a fair amount of on-street parking and a couple of large lots nearby. Plus it is a great starting point to explore the dozen or so blocks of shops and restaurants. 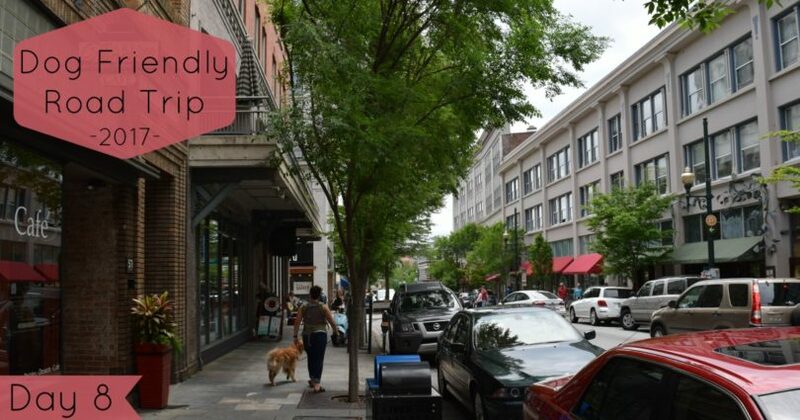 As you can see in the photo at the top of the page, the sidewalks of Asheville are wide and well maintained, and the streets lined with trees. We met tons of other dogs and dog lovers while walking around, and found lots of stores that welcomed the pups inside. 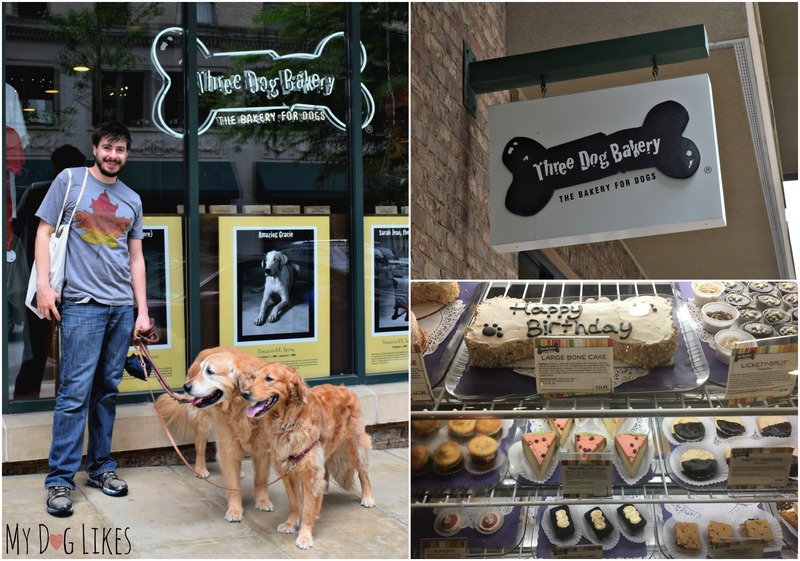 One of the first shops to catch our eye was Three Dog Bakery. 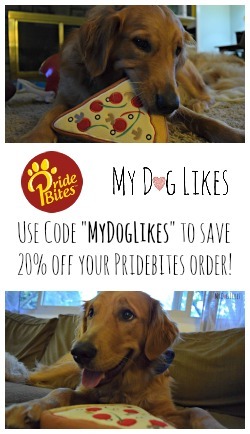 We have purchased their treats many times before but never been to a retail location! 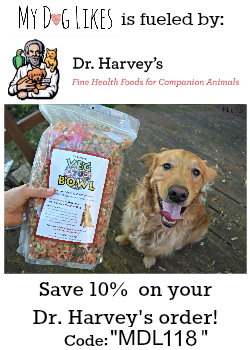 Besides the standard offerings you may have seen in pet stores, they have tons of gourmet style dog treats freshly baked in house. We had a hard time choosing from all the beautiful items but settled on some frosted doggie donuts (what else)! Since the breweries in Ashville are just so plentiful, we wanted to hit at least one more before heading out of town. 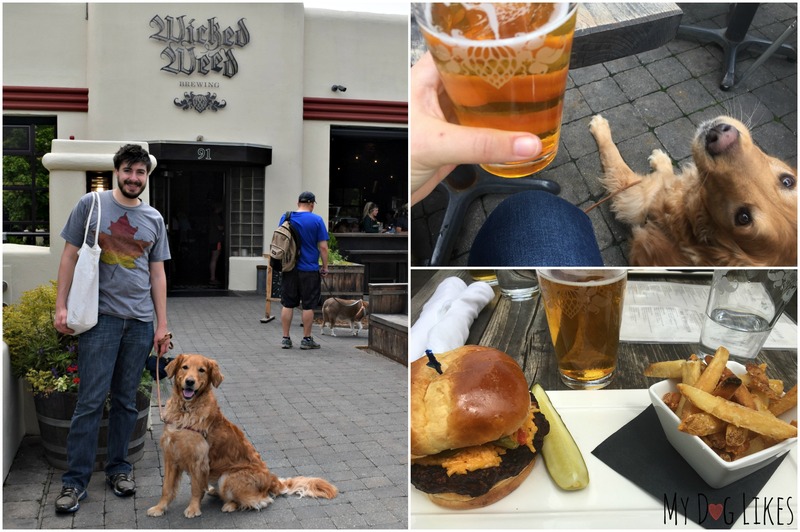 We had heard good things from friends about Wicked Weed, and after confirming that they allow dogs on their patio we headed right on over. The outdoor seating area is huge with tons of tables and even a fire pit. We were happy to see several dogs already there (and many more would join during the course of our meal.) The staff at Wicked Weed could not have been friendlier to our boys and even brought over their own water bowl to make sure they stayed hydrated. 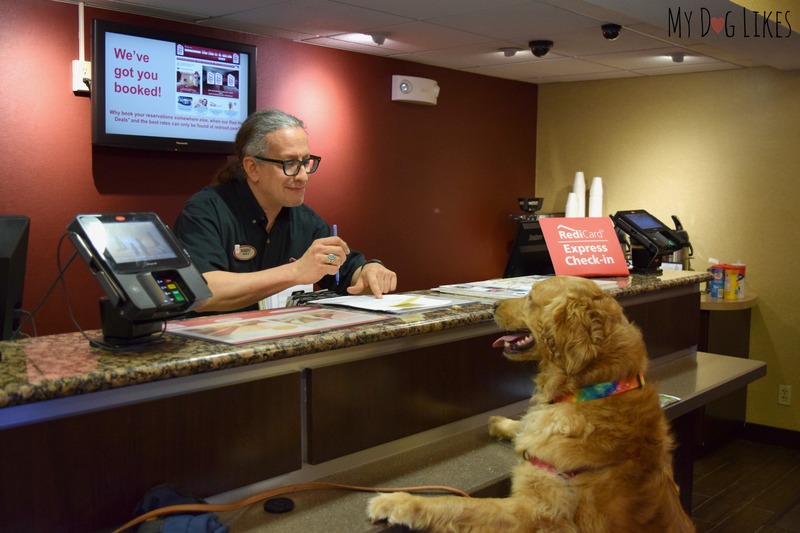 The food and drinks were both fantastic and we would highly recommend stopping for a meal – whether your pups are with you or not! After a late lunch, it was time to get on the road for the next leg of our trip. We headed about 35 miles Northeast to the town of Burnsville where we would be spending the next 2 nights at a Glamping with Pets rental. For those who aren’t familiar, Glamping is a mashup of the words “glamorous camping” for those who appreciate the outdoors, but struggle with leaving behind all modern amenities. Glamping with Pets is a hub for all sorts of interesting rentals, from cabins, to teepees, to tents with plumbing, and even tree houses! 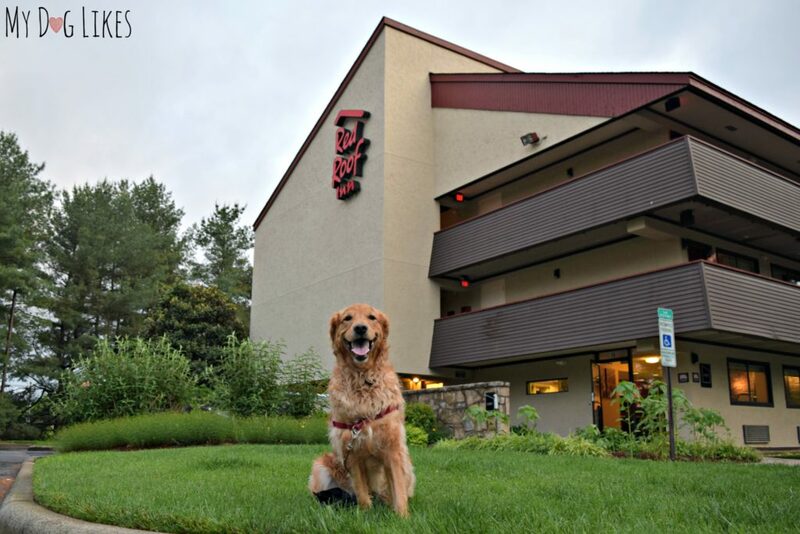 Plus, they also have more typical pet friendly vacation rentals like houses and cottages. Stay tuned for lots of pics of our AMAZING rental where the boys have made themselves right at home! Finally, some room to run! Download the Passport App – Asheville parking seems to be very heavily enforced as we saw several pairs of meter cops during our few hours there. Thankfully most of the meters accept payment by phone or an app called Passport. We found this to be extremely convenient as we of course didn’t have any change and could pay via credit card instead. We could also use the app to check how much time was remaining on our spot (or even add to it) while walking around. Try the Java the Hop! While I am a big fan of both beer and coffee, every combo I’ve ever tried has come in the form of stouts – which I do not particularly enjoy. When I noticed that Wicked Weed’s Java the Hop was in the style of a pale ale, I knew I had to try it. All I can say is that this is the way you add interesting flavors to beer. The coffee taste was subtle up front with a nice hoppy finish. A bit of rest and relaxation at our dog friendly rental! Plus maybe some exploring of the Pisgah National Forest? It’s been way too long since hubby and I visited Asheville! And it’s only 2-1/2 hours away! 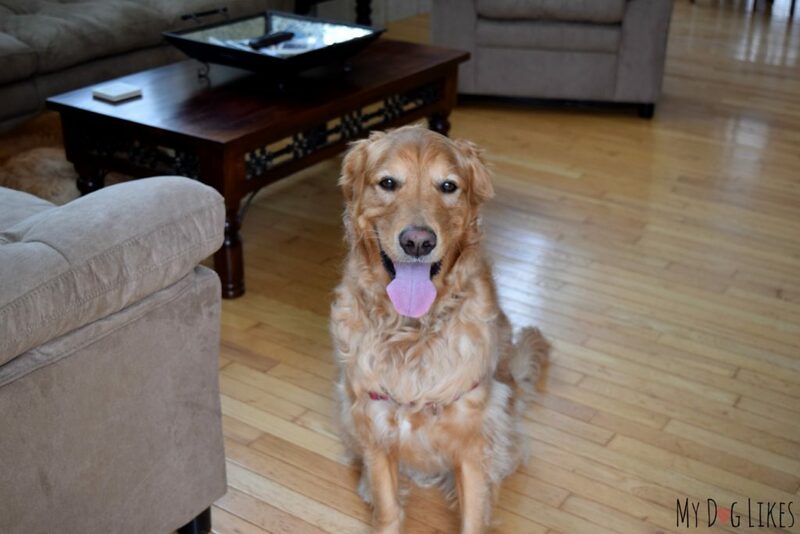 But we don’t really like driving much any more; and having a dog that freaks out when someone gets too close to us – Ducky – makes it even harder to enjoy even day trips. And poor Shadow struggles to get comfortable in the car these days. It’s just easier to stay home and play in the yard.